Where Do I Find the License Key? Every ThemePatio theme comes with a license key that allows you to install updates and get support. 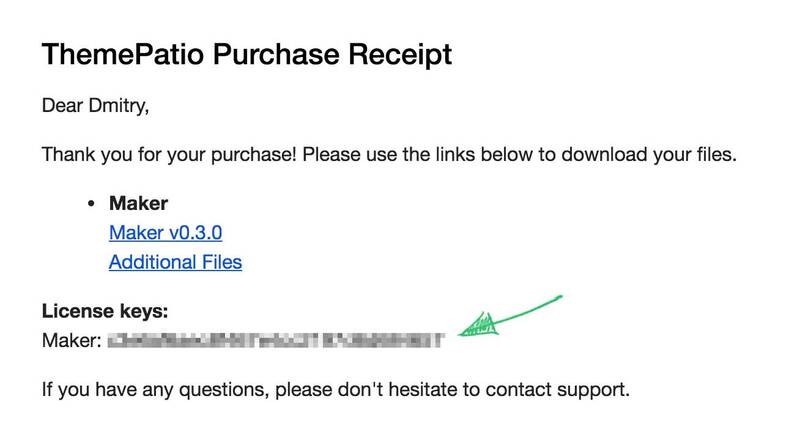 License key is also displayed in the email you get after the purchase. 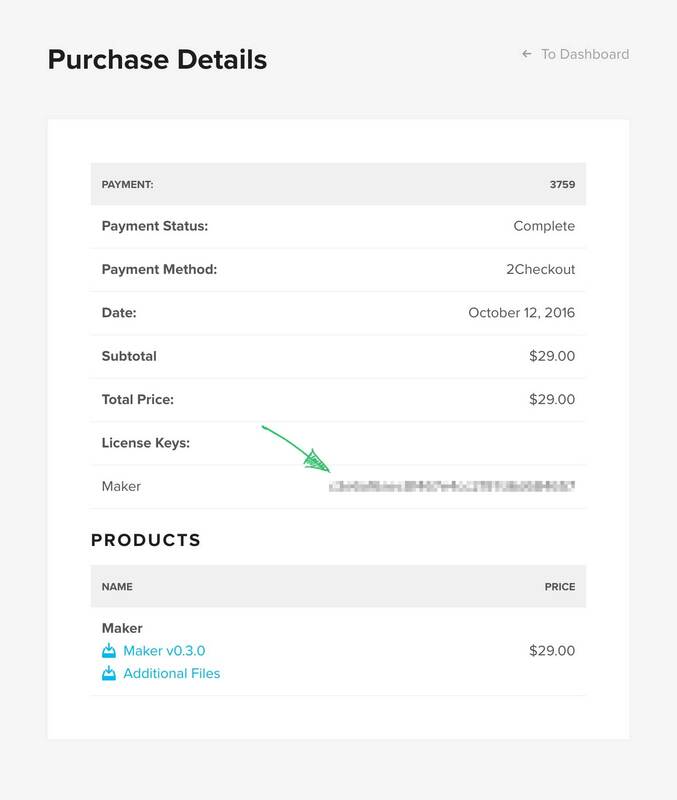 If you’ve deleted the email and closed the Purchase Details page you can still find the license key in your dashboard on ThemePatio.com. Navigate to View purchase history → View licenses. Click on the key icon. This will display the license key. Note: If you don’t remember your password, use the Lost Password link to restore it. If you’ve purchased a theme on Creative Market and want to get a license key to enable theme updates, send me an email to support[at]themepatio.com mentioning your Creative Market username and I’ll send you the key within the next 12 hours. Since Creative Market doesn’t provide an API for shop owners to check if the purchase was successful, this process is manual. But don’t worry, you can continue working on your website while waiting for the key as it is only necessary for theme updates and doesn’t restrict any theme features. Have other questions about the license or can’t find the key? Email me and I’ll do my best to assist you activate the theme.